The issue of plastic pollution in our oceans is something that has been receiving a lot more attention over the last few years, and not before time. Hit documentaries such as the BBC’s Blue Planet series, presented by Sir David Attenborough, have drawn attention to the issue, and more and more people are making an effort to reduce their plastic consumption, in the hope that we as a species can make a collective shift towards a cleaner planet. This is all very welcome and positive, but we don’t have look far to see that we still have a long, long way to go in achieving this goal. 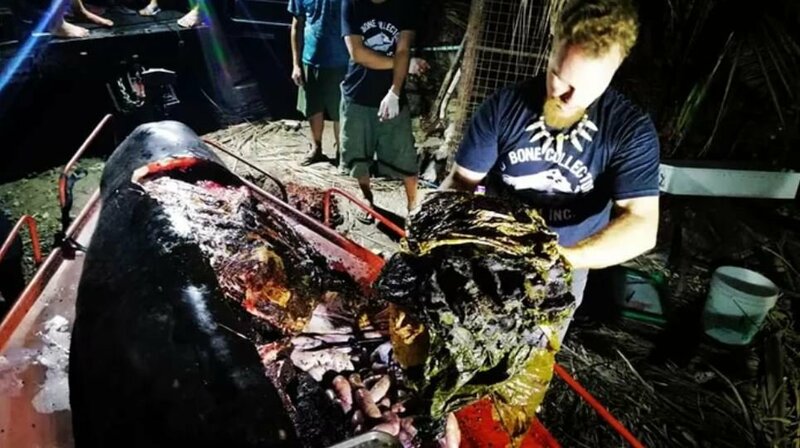 Recently, a starving whale with 40 kilos of plastic trash in its stomach has died after being washed ashore in the Philippines. Activists said it happened on Monday, and called it one of the worst cases of poisoning they have seen. It really is heartbreaking to see such a majestic creature reduced to this pile of plastic, and a number of environmental groups have spoken out about the severity of the incident. The Philippines, despite its relatively small size, is densely-populated, and has come under scrutiny as one of the world’s biggest ocean polluters, due to its heavy use of single-use plastic. Plastic pollution is a widespread problem in other Asian island nations, and regularly kills wildlife like whales and turtles that ingest the waste through no fault of their own. In fact, all of the world’s top 5 plastic polluting countries are found in Asia – China, Indonesia, Philippines, Thailand, and Vietnam. It’s clear from the grim evidence here that something drastic needs to change. 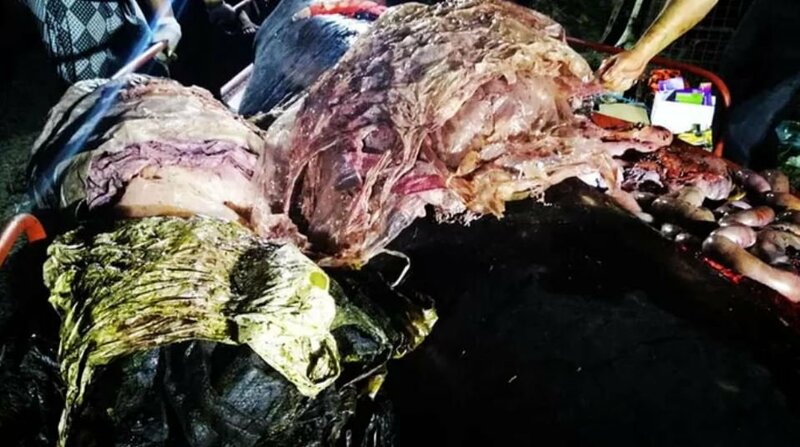 In this latest case, a Cuvier’s beaked whale died on Saturday in the southern province of Compostela Valley where it was stranded a day earlier, the government’s regional fisheries bureau said. 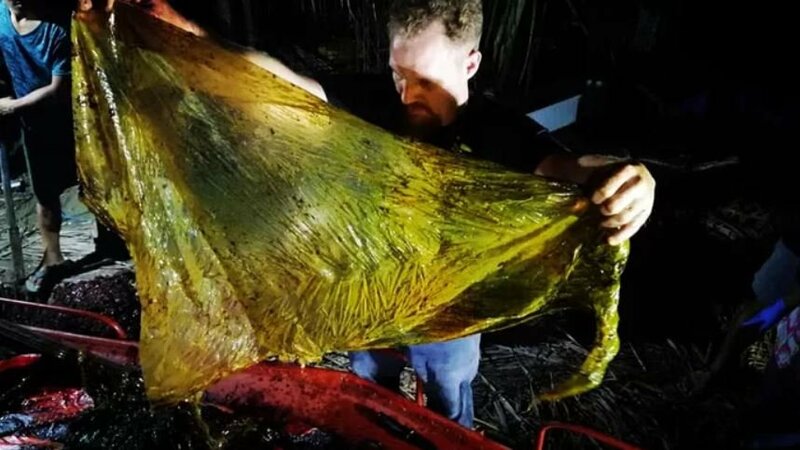 The agency, along with an environmental group, performed an autopsy on the animal and found about 40 kilograms of plastic inside it, including grocery bags and large rice sacks. The animal is said to have died from starvation, being unable to eat because of the trash filling its stomach, according to Darrell Blatchley, director of D’ Bone Collector Museum Inc., who helped to conduct the examination. “It’s very disgusting and heartbreaking,” he told AFP. The 15.4-foot (4.7-metre) long whale was stranded in Mabini town on Friday where local officials and fishermen tried to release it, only for the creature to return to shallow water, according to officials. The Philippines has very strict laws on garbage disposal, but they are poorly implemented. Of course, it’s unfair to single out the Philippines for the problem of plastic waste in our oceans – this is a global problem, and it’s obvious from these pictures that we have along road ahead of us in dealing with it.